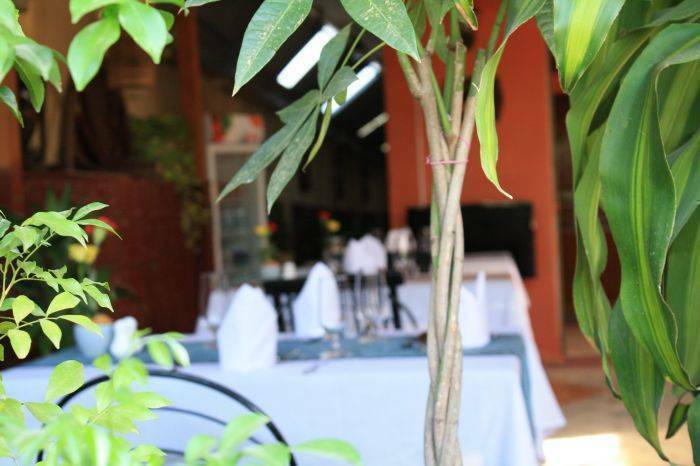 At Oral d’Angkor, we provide all our guests with warm welcome and friendly service from our family members and our associates. Whether you are on holiday or on business trip we deliver state-of-the-art technology, a full service similar to Business Centre at our lobby area, providing comfortable work stations, free Wi-Fi access, and Internet-enabled computer stations. 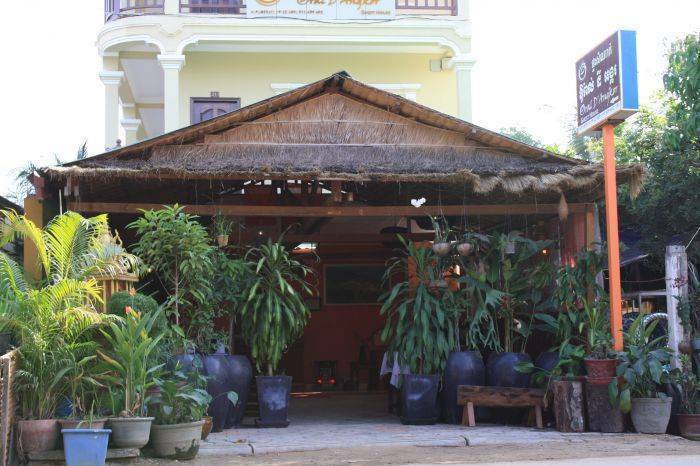 Oral d’Angkor is a newly opened guesthouse in Siem Reap offering 15 rooms equipped with all comforting facilities, and affordable prices. 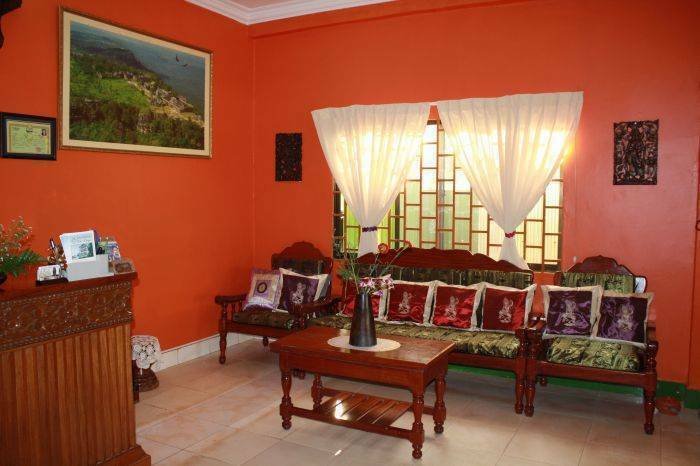 All rooms separated as smoking and non-smoking with different floor and open balcony that allow our guests to enjoy the view of the local community. Our roof top views allow our guest to enjoy the wonderful sunrise and sunset. 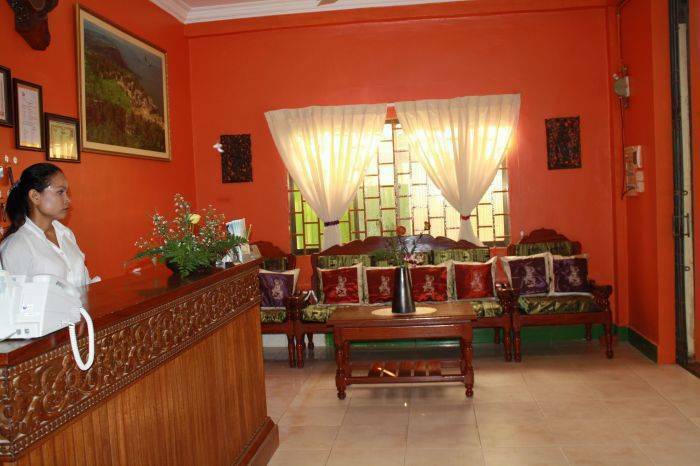 Authentic hotel room size at guesthouse rate with utmost convenience for twin share stay standard twin rooms are traditional Khmer ornaments abound like colorful silk throw pillows and bed runners as well as hanging adornments. All rooms are completed amenities, comfortable, quiet, and safe. All rooms are private bathroom. Air-condition Ceiling Fan Color Cable TV Non-smoking rooms Private bathroom Television Toiletries WIFI Wake-up calls Wifi linen included night light table windows. 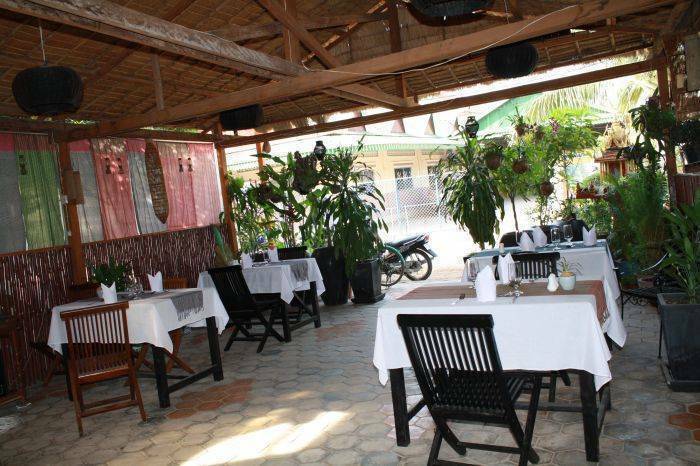 It is located in the center with nearby pub-street, central market, shopping center, night life, Bank ATM and Angkor archeological site. It is free cancellation for any booking made 3 days before the arrival date. 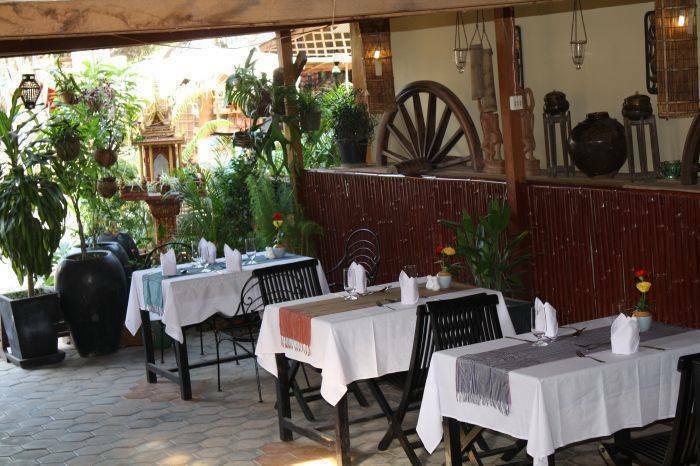 Oral d'Angkor is located in the corner of Phsar Nge market.